Home PHOTOS: Actress Stephanie Linus cuts her hair? 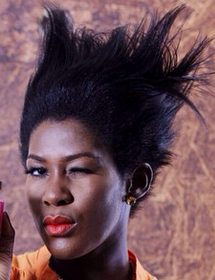 PHOTOS: Actress Stephanie Linus cuts her hair? PHOTOS: Actress Stephanie Linus cuts her hair? She shared the pic saying she recently cut her hair because of annoying hair split and she's now trying to grow it back.. Tags # PHOTOS: Actress Stephanie Linus cuts her hair? Labels: PHOTOS: Actress Stephanie Linus cuts her hair?